Today’s Monday Motivation is taken from another Hall of Fame speech–this time, from the induction ceremony of the Pro Football Hall of Fame 2015 class on August 8. 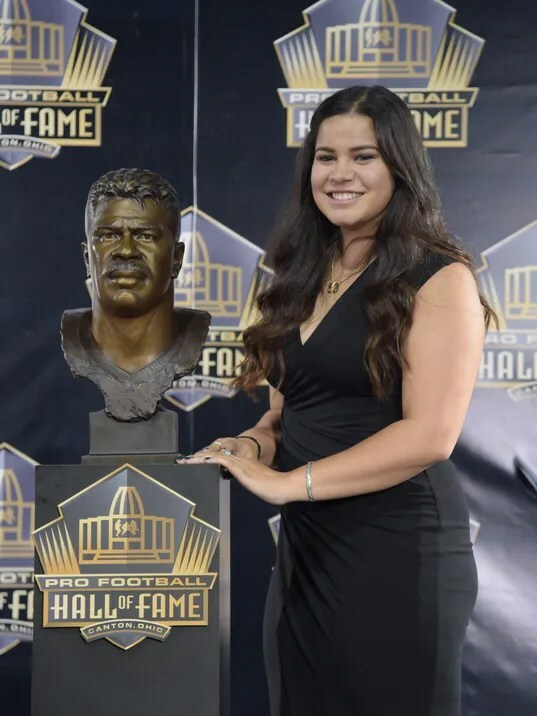 The speech is by Sydney Seau, daughter of the late Junior Seau. It was a speech her father wanted her to give on his behalf if he was elected to the Pro Football Hall of Fame. A speech she was not cleared to deliver formally at the induction ceremony because Hall of Fame policy prevented Ms. Seau from doing so. Still, she kept her promise to her Dad. As luck would have it, Ms. Seau was interviewed by the NFL Network’s Steve Wyche. Interestingly enough, the interview gave her the opportunity to expand her thoughts about her father. As we begin the week, I wanted to share these words from the original speech. Read it to capture the essence of the man Ms. Seau knew and loved. Let us keep working, building and praying for the rest.